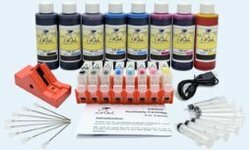 This kit contains all you need to refill your LEXMARK E260A11A, E260A21A, E360H11A, E360H21A, E460X11A, E460X21A, X264A11G, X264A21G, X264H11G, X264H21G, X463A11G, X463A21G, X463H11G, X463H21G, X463X11G, or X463X21G cartridge with premium MICR toner. 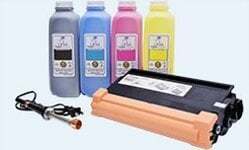 This kit will provide you with one (1) complete refill of your cartridge of 3000 pages at 5% coverage. 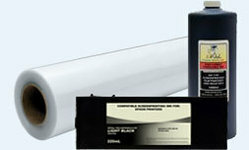 LEXMARK E260, E360, E460, E462, X264, X363, X364, X463, X464, and X466 cartridges are built with "smart chips" which allow the printer software to display an accurate toner level. Refilling a cartridge does not reset this chip. If you want your printer to accurately display your toner level, you can purchase a replacement chip. Note that this is by no means required. 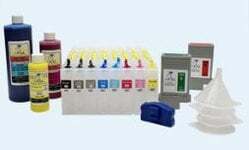 Cartridges can be refilled many times, if not indefinitely, without ever having to replace the chip.